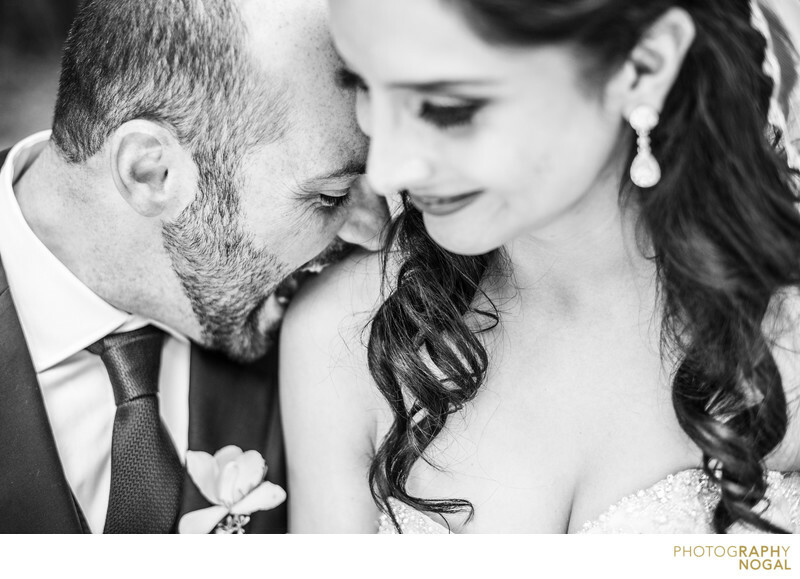 While photographing some close up shots of the Bride and Groom, the Groom decided to get a little playful and started biting the Bride's shoulder. His bite and smile, along with hers, makes this a fun photograph. Sometimes giving some direction to the couple will prompt another reaction and can lead to some amazing moments and photographs.